Riviera Allergy Medical Center Blog Can Adults Develop Food Allergies? Most food allergies develop in childhood, but adult-onset food allergies are becoming increasingly common as well, among the estimated 15 million Americans dealing with the condition. Food allergies occur when your immune system reacts to a food protein. Currently there’s no FDA approved cure, and the best way to prevent a reaction is to avoid the food you’re allergic to. If you or anyone in your family — adults or children — is having symptoms of a food allergy, count on allergy specialist Dr. Ulrike Ziegner at Riviera Allergy Medical Center for the appropriate diagnosis and treatment. Most adult-onset food allergies first occur in people in their 30s. 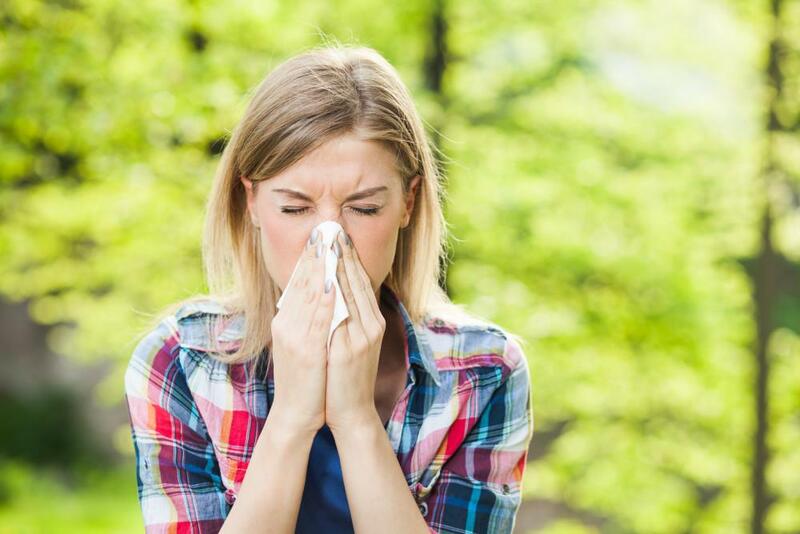 Having another allergic disease, such as hay fever, eczema or asthma, increases the risk of adult-onset food allergies. Shellfish and tree nuts, known to cause the most serious allergic reactions, are by far the most common triggers of adult-onset food allergies. Shellfish account for more than 50%, while tree nuts are responsible for more than 40%. Food allergy to sesame is on the rise as well. Seek emergency assistance if you experience signs of a life-threatening allergic reaction, including shortness of breath, fainting, swelling of throat, lips and face . Skin prick testing is the preferred method of diagnosing food allergies. However, Dr. Ziegner may order some lab tests in certain cases. This test measures the amount of allergy causing antibodies to specific foods. Either method can help rule in or rule out allergies to certain foods. If Dr. Ziegner discovers that you have a food allergy, it’s important to avoid that food altogether because of the risk of severe, even life-threatening reactions. However, accidental exposures to food allergens are not uncommon. Adults who develop food allergies must read food labels and take extra steps when dining out to avoid the offending food. Once you’re made aware of the foods you’re allergic to, you can create a dietary plan to avoid them. Most importantly, once diagnosed with a food allergy, it is extremely important to have access to epinephrine autoinjectors at all times. Dr Ziegner will train you when and how to use this life-saving medicine. There’s no need to struggle with food allergies. Call our Redondo Beach office to schedule an appointment with Dr. Ziegner, or book it online to get the answers you need.